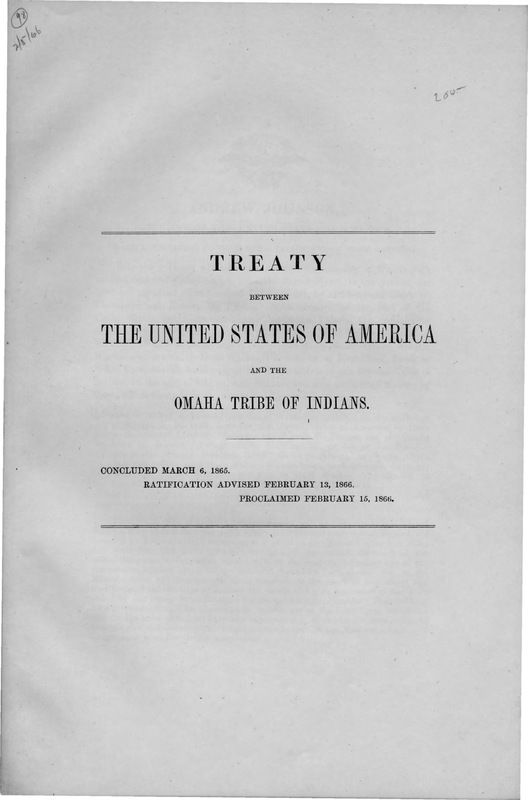 Treaty between the United States of America and the Omaha tribe of Indians. Concluded March 6, 1865. Ratification advised February 13, 1866. Proclaimed February 15, 1866. The American Indian Digital History Project and University of Nebraska at Omaha. Published under a Creative Commons License.